Navantia Australia has opened its first international office in Singapore as part of its strategy to export Australian naval capability. Navantia Australia will now manage the Asia-Pacific operations for the Navantia group, and future export opportunities in the region, including New Zealand, will also be managed and executed from Australia. Bruce Gosper, Australian high commissioner to Singapore, opened the Navantia Australia office. Austrade senior trade and investment commissioner Prerana Mehta said the facility will give Australia more defence export opportunities in south-east Asia. "The political, defence and economic relationship between Singapore and Australia is already strong. The opening of a Navantia Australia office in Singapore is another positive step in deepening this engagement and builds Australia’s competitiveness for Defence related exports, not only in Singapore, but importantly in the region," said Mehta. Navantia Australia chairman Warren King said the new Australian-managed facility is another example of Navantia's commitment to achieving technology transfer and establishing a naval export industry for Australia. "Today’s announcement is a significant milestone for Australia’s naval shipbuilding industry," said King. "Our history in Australia, the technology transfer to Australia, and the additional know-how we are committed to bring, is growing Australia’s sovereign capability and export ability." A critical element in Navantia's plans to develop an export capability has been the designation of Navantia Australia as class manager for the Hobart Class destroyer design, a move Navantia said recognises the naval engineering capability the company has established, enabling Navantia to lead export programs. "Our commitment to growing Australia’s sovereign capability and export ability through the continued transfer of design and production capabilities from Spain to Australia and partnership with Australian industries to build their ability to be globally competitive, aligns well with the key elements of the Australian government’s Defence Export Strategy," said King. "Navantia Australia’s intellectual property and enterprise processes, which are owned and resident in Australia, provide significant benefits for Australia’s naval export programs, as well as Australia’s Future Frigate program." 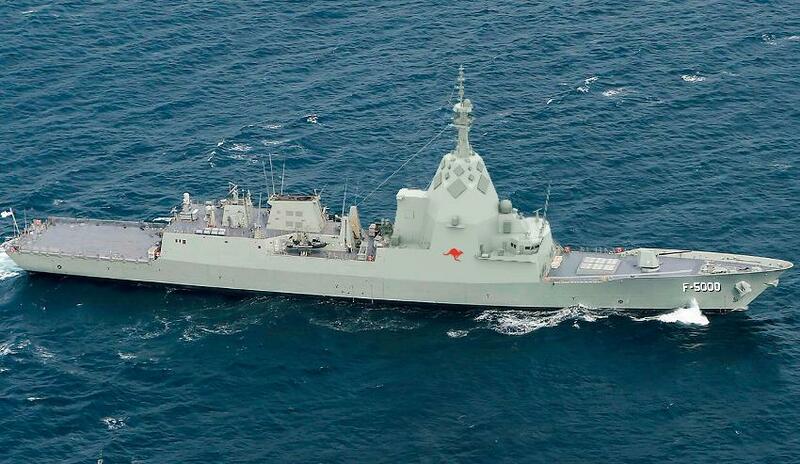 Navantia is the only Future Frigate tenderer downselected for both the US and Canadian frigate programs. It has also partnered with CEA Technologies and Saab Australia for the Canadian Surface Combatant program. It is offering the F-5000 vessel.